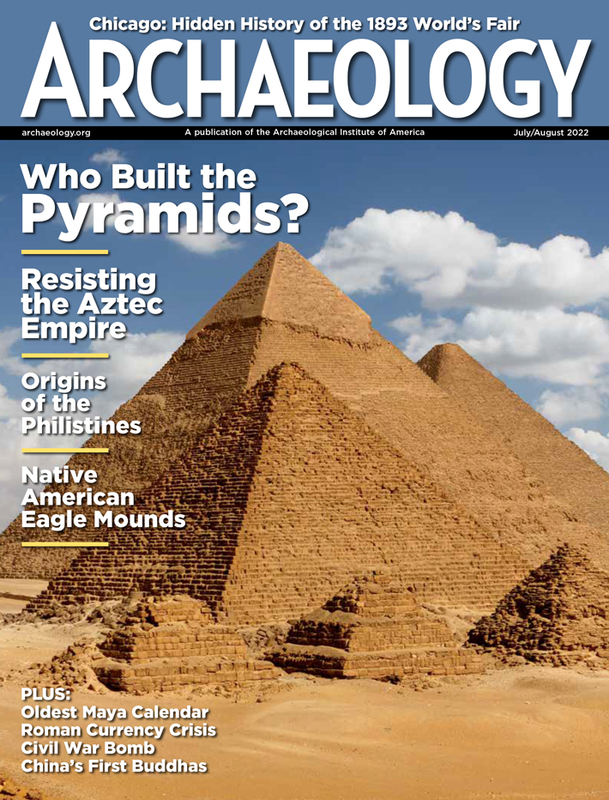 Born of concerns about the looting of archaeological sites and of the American Progressive Movement's belief in the betterment of society through active governmental involvement, the Antiquities Act of 1906 defined the study of archaeology as a scientific endeavor and resulted in the protection of 167 million acres of cultural and natural environments. The American Antiquities Act--the first and least well-known of the legislation protecting the archaeological resources of the United States--turns 100 this year. Signed into law by President Theodore Roosevelt on June 8, 1906, the Antiquities Act was the result of 25 years of lobbying and negotiation in and outside of Congress and the archaeological community. The Antiquities Act gave the United States president unilateral power to create national monuments from federally owned property, thereby limiting such activities as hunting, grazing, and mining; it provided punishment for persons caught looting or damaging property within these areas; and it defined who could be allowed to excavate and conduct research on the properties. Thus, this deceptively brief act changed the face of the United States government, by making the protection of cultural and natural resources a federal responsibility. At the same time, the act forged a future for the profession of archaeology as a scientific study rather than a focus of art history or tourism. The Antiquities Act was a product of the American Progressive Movement of the early twentieth century, during which time health, nature, and fitness were national obsessions. Led by Theodore Roosevelt, the Progressive Movement was more or less a backlash to the greed of robber barons and misery of the Industrial Revolution of the late nineteenth century. The movement and its practitioners believed active governmental involvement could be used to create a healthy, prosperous middle class. The Antiquities Act was a part of that movement, as it uses governmental actions, rather than private interests, to create and preserve natural and healthy places for people to visit, and to preserve scientific data important to understanding the past. However, the motivation for the act originated some 25 years earlier, when archaeologists and others became aware of the wholesale looting of sites in the American Southwest at Chaco Canyon, Mesa Verde, and elsewhere. In particular, the plundering of the well-known Casa Grande ruins in Arizona galvanized the concerns of archaeologists and other supporters of archaeological preservation into political action, and in 1892, President Benjamin Harrison created the Casa Grande Ruins Reservation, the first federal archaeological reservation. Casa Grande showed the preservationists that such sites could be protected at the federal level, but there were many others yet to be saved. With that exception, there were no laws at the time to prevent anyone from digging them and removing artifacts and building materials, even though these sites were on federal property. Sites were being destroyed; and artifacts disappeared into private collections or foreign museums, where they remain to this day. Some European countries had already established their own legal protections--such as Britain's Ancient Monuments Act of 1882--but not the United States. This alarmed the archaeological community and its supporters, but coming to a consensus solution and proper jurisdictional management was at first nearly impossible for the disparate governmental agencies and institutions. The Archaeological Institute of America was founded by Harvard professor Charles Eliot Norton and others. The conservation community split into factions over the best way to proceed; one faction believed it was best to write bills protecting specific properties (as was done for Casa Grande); the other believed it was necessary to construct an omnibus bill that would allow the creation of national parks. Both factions began to submit bills for archaeological site preservation, and these competing concepts, coupled with debate over which agency would manage the defined protectorates, stalled the process. It wasn't until archaeologist Edgar Lee Hewett found the right words to satisfy the diverse interests and combine the concepts of national park and historic monument that a suitable bill was produced. The brief act--under 500 words in four paragraphs--sailed through Congress and was signed by President Roosevelt on June 8, 1906. The American Antiquities Act is deceptively brief. Section 1 of the Act addressed the ongoing vandalism and looting on federal property. It set the penalty for anyone who would "appropriate, excavate, injure, or destroy any historic or prehistoric ruin or monument, or any object of antiquity, situated on lands owned or controlled by the Government of the United States" at $500 or 90 days in jail, or both. While $500 seems tiny today, in 1906 it was a substantial amount. Even so, by 1924, it was clear that the penalties established in Section 1 were not stringent enough to stop the lucrative looting. Archaeologist Neil Judd, writing in American Anthropologist in 1924 reported that "It is now extremely difficult to find a prominent ruin that has not been measurably mutilated." But it was not until the Diaz case in the 1970s that sufficiently heavy penalties were established for looting from federally owned archaeological sites. In 1974, Ben Diaz was convicted under the Antiquities Act of removing artifacts--a set of Native American masks--from a cave on the San Carlos Indian Reservation in the Southwest. On appeal, the 9th District Appellate Court threw out the conviction because the artifacts were only five years old. The court said that the language in the Antiquities Act referring to an "object of antiquity, ruins, and monuments" was unclear. The appellate court labeled the Antiquities Act as "constitutionally vague," a designation that seriously weakened the Act's usefulness as a tool to punish looting. The Archaeological Resource Protection Act (ARPA) of 1979 was created to fill in where this section of the Antiquities Act failed to provide adequate protection. Section 2 of the Antiquities Act states that the president of the United States may unilaterally designate National Monuments, defined as "historic landmarks, historic and prehistoric structures, and other objects of historic or scientific interest," out of properties currently owned by the federal government. Setting aside tracts of land already owned by the federal government allowed the president to ban certain activities on those properties--such as looting and unauthorized excavations, but also homesteading, mining, grazing, logging, and other activities legally permitted on other federal properties. In 1906, Congress already had the ability to set aside such tracts of land, but the process was slow, hindered by competing state-level interests and the heavy bureaucracy of the legislative branch. During the first decade of the Antiquities Act, more than 30 monuments were created including a total of 1.6 million acres. Located by and large in the Southwest--far from densely populated cities--and given the state of the roads and the rarity of automobiles, these monuments were largely inaccessible to the public. But by 1912, President William Taft began urging Congress to find a way to make the parks more accessible, eventually leading to the National Park Service Organic Act of 1916, creating the National Park Service. Section 3 of the Antiquities Act establishes a process for providing permits for archaeological investigations. These permits were to be provided by the governmental agencies who managed the property prior to its designation as a monument. Under Section 4, those agencies would determine what qualifications were required of the persons permitted to conduct archaeology on the monuments, and establish guidelines for carrying out the excavations. Stated clearly in this paragraph, and worth repeating, is the proviso "That the examinations, excavations, and gatherings are undertaken for the benefit of reputable museums, universities, colleges, or other recognized scientific or educational institutions, with a view to increasing the knowledge of such objects, and that the gatherings shall be made for permanent preservation in public museums." This one sentence summarizes the founding purpose of federally supported archaeological excavation. Archaeological studies conducted since the Antiquities Act are not for the benefit of decorative art collections or commercial value of the artifacts, but rather for the scientific and historic information they contain. Frank McManamon, chief NPS archeologist and a historian of the act, believes that the Antiquities Act represents no less than the basis for professionalization of the science of archaeology. These words set the course for all subsequent American archaeology. One of the questions associated with the Antiquities Act since the beginning, and indeed part of the original debate, has been which agency should be responsible for the management of the monuments created by the president. Although the Antiquities Act did not specify who would manage the properties, the implications of the permitting process in Section 3 are that management of the monuments would be under the jurisdiction of the governmental agency that owned the property prior to the monument designation--specifically, the Departments of Interior, Agriculture, and War. Part of the problem was that the most appropriate agency for tending archaeological properties at the time would have been the Bureau of American Ethnology at the Smithsonian Institution, which had archaeologists on staff. However, the BAE neither held land nor was it set up to manage land; and the compromise hammered out by Hewett included language suggesting the lands should continue to be managed by the originating agencies. However, by 1916, it was clear that neither the Department of War nor the Department of Agriculture were truly suited to manage properties they could not use in their normal course of operations, and the National Park Service was created that year in part for that purpose. However, the U.S. Forest Service (as part of the Department of Agriculture) still maintained control over monuments in its purview, and continued to do so for monuments named between 1916 and 1933. In 1933, Congress granted President Franklin Roosevelt the authority to transfer jurisdiction of properties, and he signed Executive Order 6166 transferring administrative functions of "public buildings, reservations, national parks, national monuments and national cemeteries" over to the National Park Service, moving many monuments from within the Forest Service into its jurisdiction. Between 1933 and 1978, the management of all the National Monuments created by the presidents lay within the responsibility of the Park Service. Today, monuments are still typically placed under the protection of the National Park Service, but beginning in 1978, agencies such as the Bureau of Land Management, the U.S. Forest Service, and the U.S. Fish and Wildlife Service have been selected to manage a few properties. These were not trivial decisions. There is an essential conflict between the intent of the Antiquities Act and other agencies that is not present when the Park Service is managing the properties. The mandate of the Antiquities Act is for the preservation of historic and scientific properties. The mission of the Park Service is to "preserve the scenery, wildlife and other attributes of 'parks, monuments, and reservations' for the benefit of present and future generations." The Bureau of Land Management, on the other hand, is mandated by the Federal Land Policy and Management Act of 1976 to "manage its public lands in compatible combinations of various uses: outdoor recreation, range, timber, watershed, wildlife, minerals and natural values, and must achieve annual high level production of each of these renewable resources" (emphasis added). Clearly these purposes have the potential to be in direct opposition to the preservation of many archaeological resources, which are nonrenewable and finite. The first exceptions to the management of National Monuments by the National Park Service were two Alaskan monuments designated by President Jimmy Carter in 1978. On December 1, 1978, Carter used the Antiquities Act to establish 17 new or expanded monuments in Alaska to be administered by the Park Service, Fish and Wildlife Service, and Forest Service, including an area of 56 million acres, the largest, by far, of any Antiquities Act set aside to date. President Carter's designations were the result of some seven years of many different people attempting to protect large tracts of land, beginning in 1971, with the Alaska Native Claims Settlement Act, including 44 million acres of federal land, passed by Congress in 1971; an additional 80 million acres were suggested as possible enlargements. In 1973, the Secretary of the Interior proposed 83.5 million acres for withdrawal, a proposal that passed in the House in 1978 but not the Senate. Carter's administration acted before the lands could be reopened to mining, eventually proclaiming them National Monuments. This action abruptly halted mineral development in Alaska. Two years later, Congress established more than 100 million acres of land as conservation units under the Alaska National Interest Lands Conservation Act, carving up the National Monuments named by Carter and limiting the ability of the President to withdraw properties over 5,000 acres without Congressional approval. The different parcels of land were specifically stated to be administered by the National Park Service, the United States Fish and Wildlife Service (such as the Yukon Flats Wildlife Refuge), and the U.S. Forest Service, in part because of treaty obligations. The original intent of the Antiquities Act was to protect the cultural resources owned by the United States, by creating legal limits on activities on federally owned properties, and by establishing penalties for looting and vandalism. By defining who would be allowed to conduct scientific excavations within the federal properties, the Act also defined the study of archaeology as a scientific endeavor, rather than art history, and with acquiring knowledge as its goal rather than excavating artifacts as a commodity. It is also pertinent to recall that the Antiquities Act was a product of the American Progressive Movement of the early twentieth century, during which time health, nature, and fitness were national obsessions, believed achievable for all American society through active governmental involvement. From the beginning, the Act included properties for the protection of environmental as well as cultural resources, an outcome surely considered with satisfaction by the leader of the Progressive Movement, President Theodore Roosevelt. In most of these aims, the Antiquities Act has been a rousing success. Over the past 100 years, sitting United States presidents have set aside over 167 million acres of cultural and natural environments. While the penalties set for looting, and the definition of "antiquities" within the Act were clearly not sufficient to halt this lucrative and pernicious activity, subsequent legislation (the Archaeological Resource Protection Act) refined and strengthened this function, legislation that would likely not have taken place were it not for the Antiquities Act's existence. The effects of the Antiquities Act on the profession of archaeology, however, are incalculable. Edgar Lee Hewett would not recognize the science of archaeology as it is practiced today. 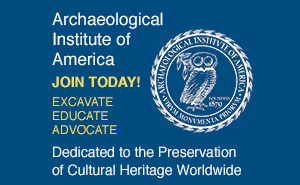 But Hewett and his associates--the founders of the American Association for the Advancement of Science, the American Anthropological Association and the Archaeological Institute of America--together created this cornerstone of the scientific foundations of the heritage management movement in the United States. Kris Hirst is a freelance science writer and the Guide for Archaeology at About.com.